Contribute to “This is Hallow’s End” Song for Warcraft Trolls! I am creating an ensemble parody of “This is Halloween” from the Nightmare Before Christmas and I’d love to have your voice! I figured I’d put all the info for how to contribute to the song in one place. The song will be completed on Monday October 21st, so I’d like to have all contributions in by Sunday the 20th. Here is a google doc with the lyrics. Lines that are red are already taken. Here is a dropbox of the latest draft of the song. Every line is currently covered, but most lines are done by Rho who did a full version on his own. Only the lines I’ve highlighted in red on the lyrics are considered “taken” and will appear for sure in the final song as they are in the current draft. Consider the rest a template and/or place holder, or what will remain if no one else takes that line. Thanks so much! This is a big project and anything you can send it will help out a lot! 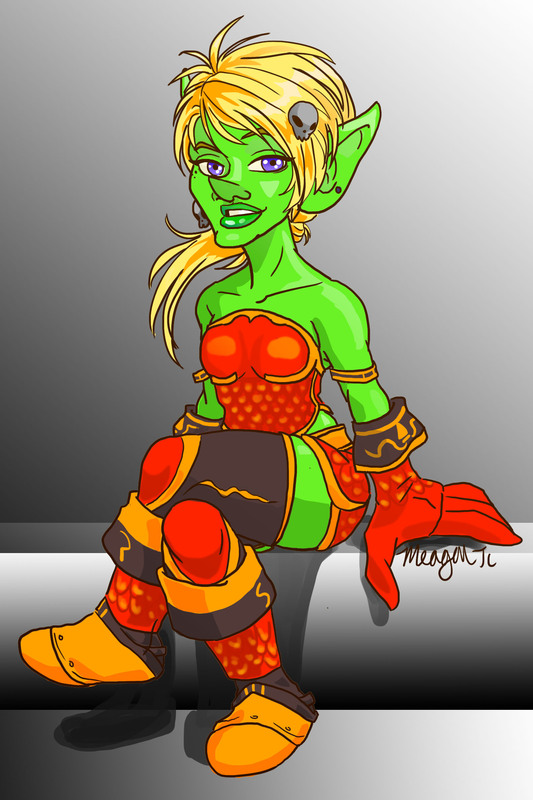 My Goblin Shaman, who is almost 90 now but I keep taking breaks from playing to draw.